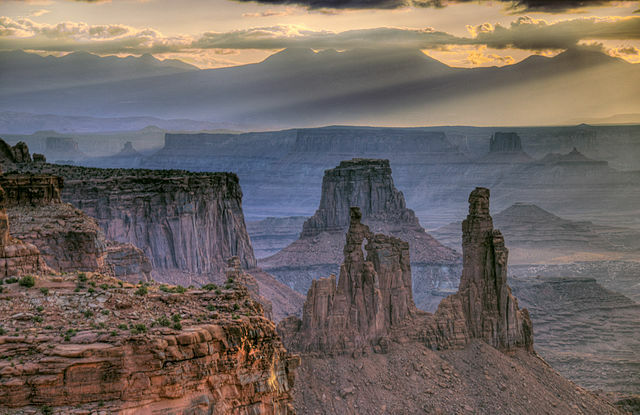 Join park rangers as they explore the many features of Canyonlands. These short videos provide an in-depth look at a range of topics – all of which you’re likely to experience first-hand when you visit the park. 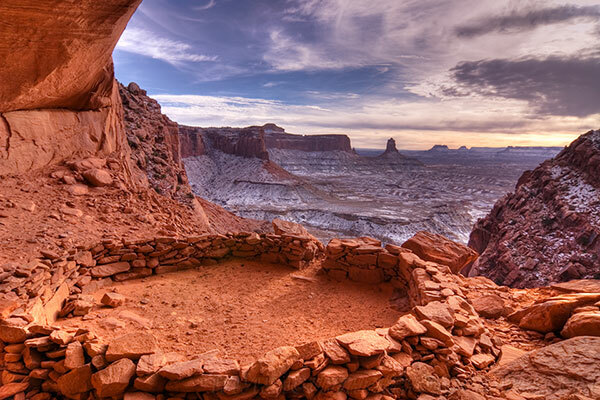 The ancestral Puebloans were some of the first farmers in the American Southwest. Join ranger Karen Henker for a brief look at their lifestyle, as well as the art and architecture they left behind. 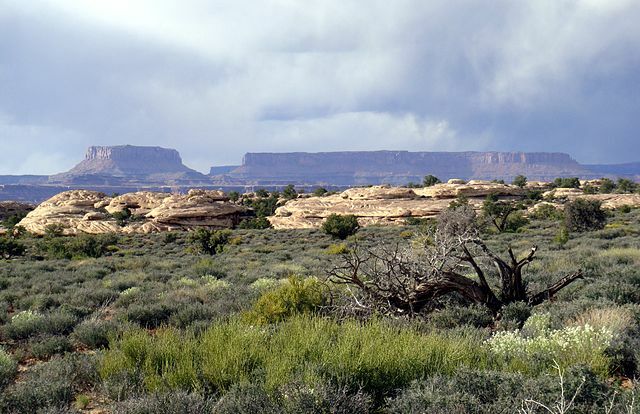 Biological Soil Crust is a living groundcover that forms the foundation of plant life in Canyonlands and the surrounding area. Join ranger Karen Henker and learn about this critical – and fragile – component of the high desert ecosystem. 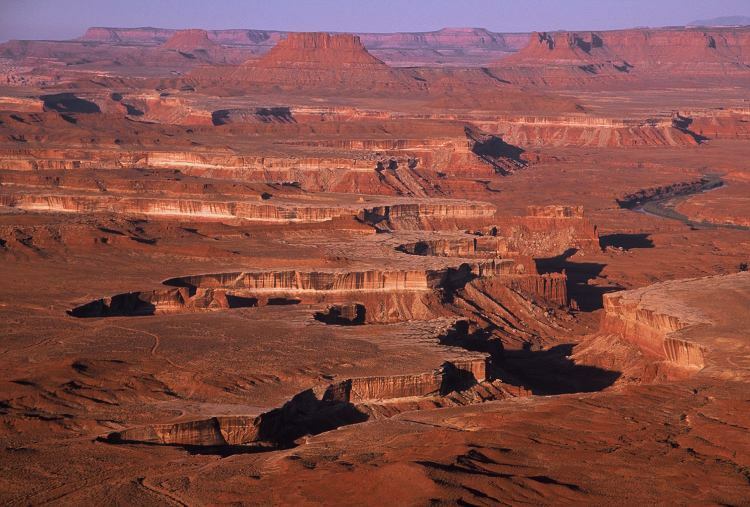 The geologic history of Canyonlands spans hundreds of millions of years. Join ranger Karen Henker for a brief tour of this complex and exciting story. 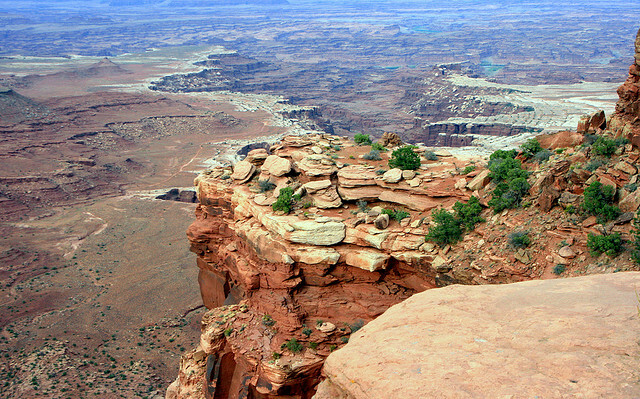 Throughout Canyonlands, naturally occurring sandstone basins called potholesÂ form tiny ecosystems inhabited by a surprising collection of animals. Join ranger Karen Henker for an introduction to these animals and some their remarkable adaptations. One of the most common trees in the American southwest, the Utah Juniper is well suited to life in the desert. Join ranger Karen Henker for a quick summary of its unique adaptations. Horseshoe Canyon contains some of the most significant rock art in North America. The Great Gallery, the best known panel in Horseshoe Canyon, includes well-preserved, life-sized figures with intricate designs. Other impressive sights include spring wildflowers, sheer sandstone walls and mature cottonwood groves along the intermittent stream in the canyon bottom. 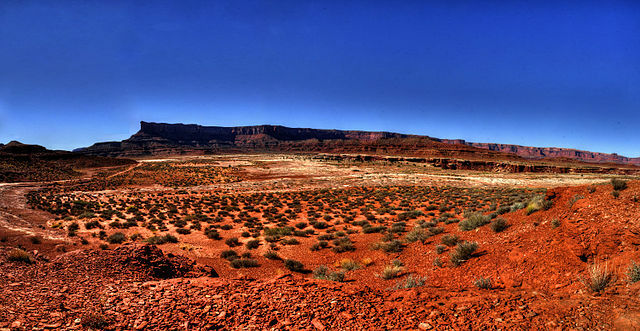 Horseshoe Canyon was added to Canyonlands in 1971. Ask any ranger or river guide how deep the river is and they’ll probably roll their eyes. Aside from being a common question, it’s a very difficult one to answer accurately. The reason? The Colorado and Green rivers have serpentine channels that change constantly as the current and the sediment it carries act upon each other. Along both rivers, sand bars move continually. Add runoff from storms and spring snow melt to the mix, and one could argue that few places in the river ever have the same depth for very long. But what’s below all this shifting sediment? The Colorado and Green rivers carry and traverse millions of tons of sand, mud and rocks, but at some point their channels must encounter bedrock. At what depth? Scientists studying this question in Cataract Canyon have found some unexpected answers. Cataract Canyon contains roughly 14 miles of closely spaced, large rapids. These noise makers stand in stark contrast to the calmer conditions upstream on both the Green and Colorado rivers. Glen Canyon, below Cataract, was also known as a leisurely stretch of water before it filled with the waters of Lake Powell. So Cataract Canyon interrupts an otherwise continuous calm with large and treacherous hydraulics. The rapids of Cataract Canyon are created by very large boulders. Some of the most famous are Capsize Rock, which captures the unwary in Rapid 15, and Niagara Rock in Big Drop Two, which forms a fierce hole during high water. None of the rapids in Cataract Canyon are directly affected by bedrock beneath the river. Instead, water is flowing over a mantle of large boulders. Most of these boulders were placed in the river by debris flows from side canyons. Like concrete flowing from a cement mixer, debris flows are slurries of sediment and water, with sediment making up more than 80% of the mix. But on this scale, flows have enough energy to move house-sized boulders. Although isolated rock falls affect the river on occasion, debris flows are the most common process for forming and maintaining rapids. In 1921, the U.S. Geological Survey (USGS) sent a research expedition through Cataract Canyon to locate potential dam sites for water storage and hydroelectric power generation. To evaluate the sites and estimate the volume of water that could be stored in a reservoir, they surveyed the first longitudinal profile of the river. Today we have a complete longitudinal profile of the Colorado River from its headwaters in Colorado to the Gulf of California. 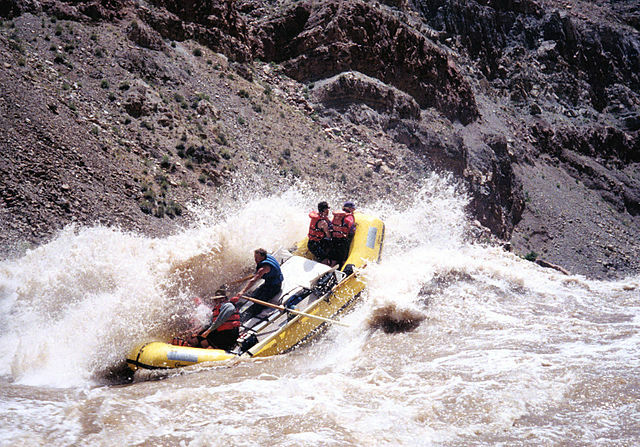 In 2003, a USGS team resurveyed the 1921 Cataract Canyon profile and measured changes in the fall of various rapids. Results from this work show that the profile of the river through Cataract Canyon forms a “bulge” or “convexity” in the overall profile of the river. This bulge is the largest on the river and suggests that bedrock is far beneath the surface. Using seismic refraction, scientists evaluated the depth to bedrock in several locations. This method involves transmitting sound waves into the ground and measuring the returning waves. At Spanish Bottom, near the head of the Cataract Canyon convexity, bedrock was found to be 260 feet below the water’s surface. Conventional wisdom holds that rivers constantly erode the land over which they flow. In Cataract Canyon, this doesn’t appear to be the case. Due to debris flows from side canyons, the river may be rising. In fact, Cataract Canyon may be one of the most actively filling canyons in the world. The USGS will continue this work in the coming years. Their results may very well change our understanding of local rivers and the natural processes which guide their evolution. Most visitors access Horseshoe from the west. Two-wheel-drive access to the west rim of Horseshoe Canyon is from Utah Highway 24 via 30 miles of graded dirt road, or from Green River on 47 miles of dirt road. 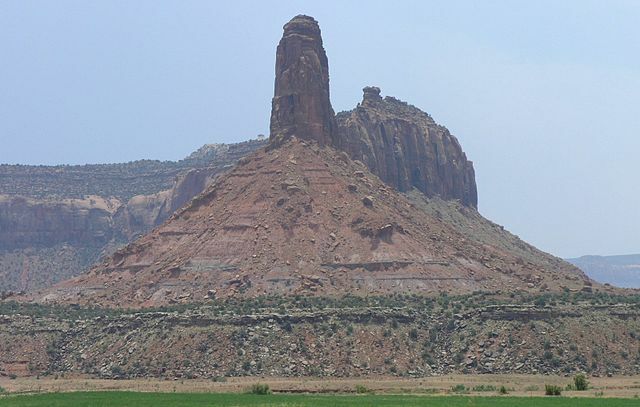 Driving time is roughly 2.5 hours from Moab or 1.5 hours from Green River. A four-wheel-drive road leads to the east rim of Horseshoe Canyon from the Hans Flat Ranger Station. All access roads may become impassable during storms. Visitors may camp at the west rim trail head on public land managed by the BLM. A vault toilet is provided but there is no water. Overnight camping is not allowed in Horseshoe Canyon within the Park boundary. From the west rim trail head, the hike to the Great Gallery is 6.5 miles round-trip, descending 750 feet and requiring about six hours. Pets are prohibited below the rim of Horseshoe Canyon. Group size is limited to 20 people. Bring your own drinking water. There is no water above the canyon rim and water sources are unreliable within the canyon. Horses, mules and burros are the only animals permitted. Other domestic animals are prohibited in the backcountry (including dogs). Stock must be fed pelletized feed for 48 hours in advance of and during a trip in order to prevent the spread of exotic plant species. Grazing is not allowed. Animals may not be left unattended and must be staked at least 300 feet away from water sources and away from vegetation where possible. Guided walks into Horseshoe Canyon are available Saturdays and Sundays from September 13th through October 26th. These walks depart the west side trailhead at 9:00 a.m. Plan on a three to five hour hike (seven miles round trip). Bring food and plenty of water, plus appropriate gear for the current weather conditions.